A straddle strategy is a more sophisticated method applied by professional to boost the returns of their investments, or to hedge the risk of an already existing underlying portfolio. A straddle strategy is a position that consists out of nothing more than a combination of a put and call option with the same expiration date, same underlying and same strike price. Depended on the applied strategy both call and put are long or both are short. A long straddle strategy can be applied by simply buying a call and a put with the same strike price, same expiration date and same underlying. The long straddle strategy is best applied when you expect a considerable move in the underlying share. Whether you underlying moves up or down doesn’t matter, in either case one of the options will become more valuable. In addition, the long straddle is best purchased when volatility is low and you expect that volatility is going to increase. 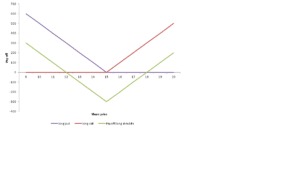 In this scenario the option price when purchasing is cheaper, whereas after volatility has increased you can sell the position at inflated price. 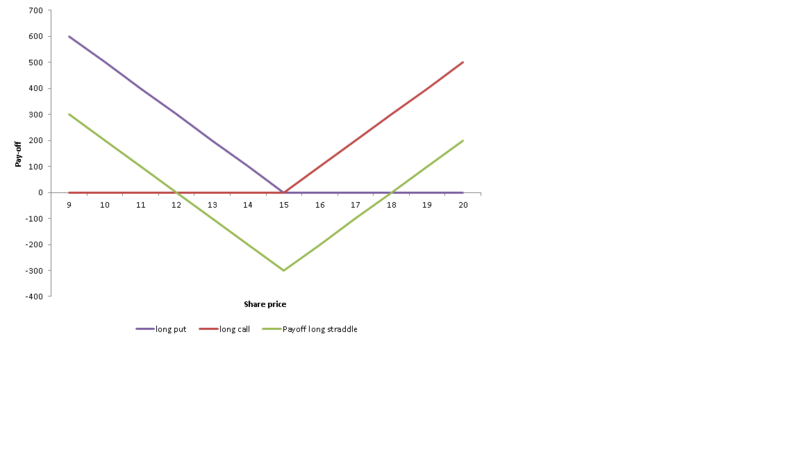 A short straddle strategy can be applied by simply selling a call and a put with the same strike price, same expiration date and same underlying. 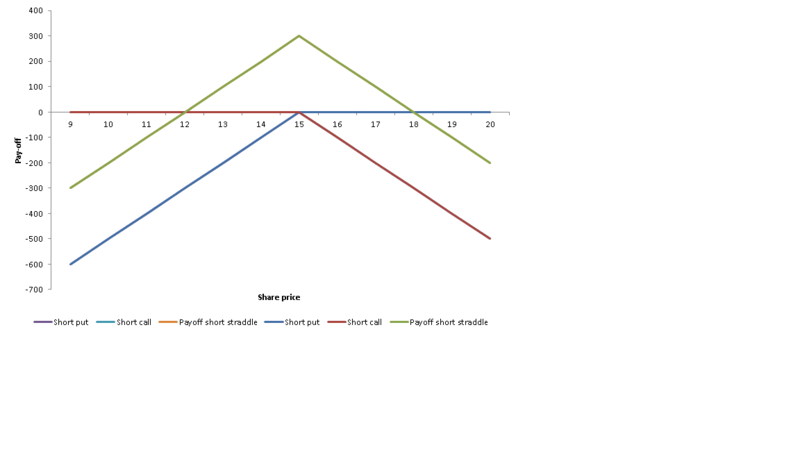 The short straddle strategy is best applied when you expect a sideways market, or very low movement in the underlying price. In this way, you can boost returns be reaping the option premia received when selling the options. If markets moves sideways, the options will expire worthless. In addition, the short straddle is best purchased when volatility is high and you expect that volatility is going to decrease over time. 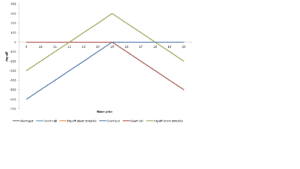 In this scenario the option price when sold is inflated, whereas after volatility has decreased you can buy back the position at a reduced price. The straddle strategy is a more sophisticated strategy. It is used to exploit either considerable movements (long straddle) or lack thereof (short straddle) in the underlying share. In addition, the strategy can also be applied to capture movements in volatility which will influence the option price premia.